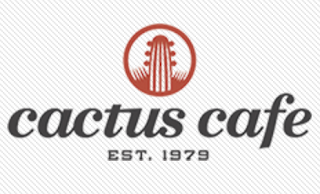 Cactus Cafe is a great listening room on the campus of University of Texas and it was the perfect location for an evening and song-swap with Austin's Matt the Electrician and Massachusetts' Kris Delmhorst. 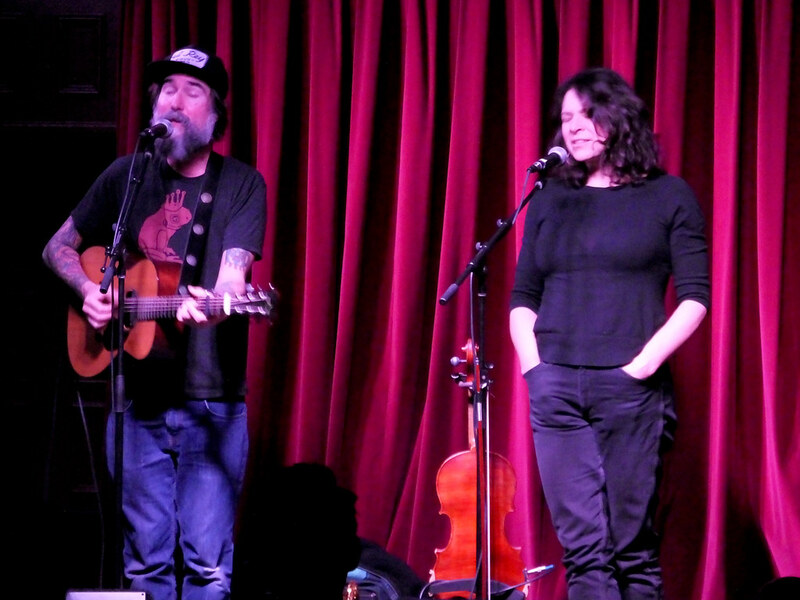 This is probably my favorite kind of show, for I feel in an environment like Cactus Cafe singer-songwriters are able to peel some of the layers away from their songs and share stories and inspirations about the creative process. Plus, with this night, it seemed like we were getting a glimpse into the reunion of two friends catching up, laughing and playing together. Almost like they were hanging out in their living room and we got to watch. Matthew Sever is Matt The Electrician. 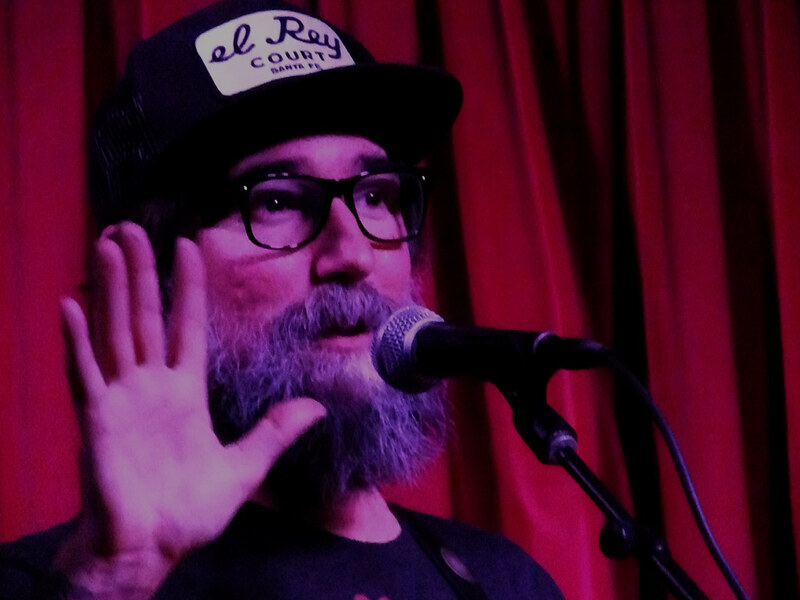 (who, as the name suggests was an electrician in his former life - in the 1990s) took the stage first, shared a few stories, and played a few songs from his discography, which runs a dozen records deep. Just before launching into a fantastically speedy rendition of "Change The Subject" (from 2007's One Thing Right) he mentioned that February 3 was going to be the 14th anniversary of his quitting drinking alcohol and the song was written after attending a potluck/gathering with his wife, the week he decided to quit drinking, where he knew nobody. That gave a whole new perspective to the opening lyrics: " If I never gave up drinking / I would surely have a beer right now / Talking politics and religion / I don't wanna be here right now." He also played "The Bear" and "California" off his 2017 release The Doubles which is a collection of the 7" singles he's released along with renditions of those tracks featuring the trio with which he currently performs. A treat of being in a listening room setting is artists sometimes try out new material. Sever debuted a song that he'd never played live, which I believe is called "Angels Chasing After Me." He realized, and pointed out during the track, that the riff he was using was the same as "What's So Funny" off his 2009 release Animal Boy and promised to change it. 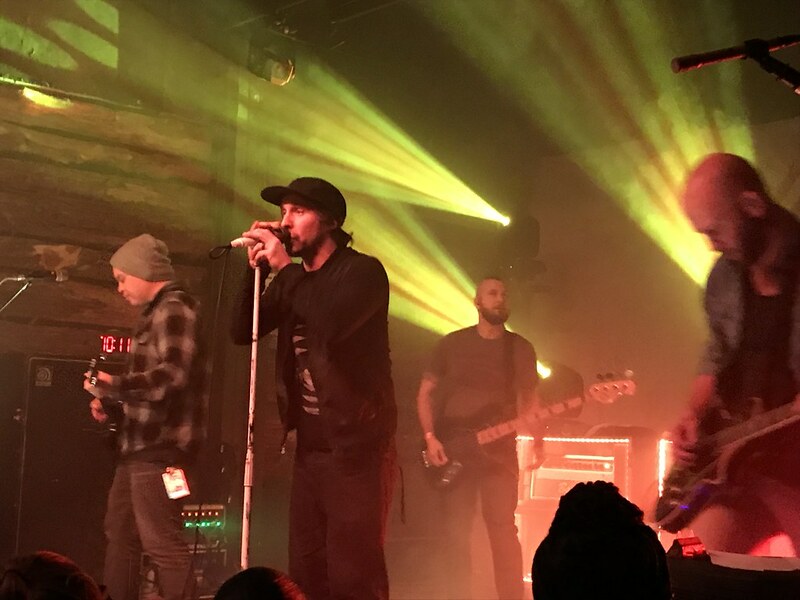 He explained that this show was his first gig of 2018 after taking about six weeks off, the longest time away from stage since he'd begun his career. Honestly, if he'd not mentioned it, nobody would have known he'd not played live in a minute... but it made for a few funny references. Once he played his set, it was Kris Delmhorst's time to take the stage. Whereas Sever has a laid back, conversational and sometimes quirky approach to his storytelling style, Delmhorst has what I'd describe as a classic singer-songwriter style. Her songs are beautifully composed stories of life and love. I was first introduced to Delmhorst's music in 2003 with the release of her Songs For A Hurricane. 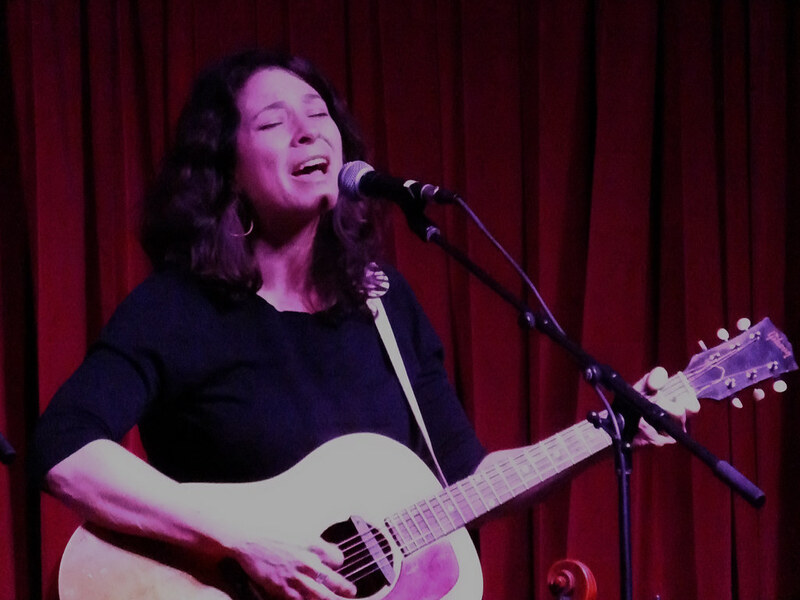 She was a regular performer at Cambridge, Massachusetts' Club Passim where my sister and brother-in-law frequented. I caught her in 2007 (I think) during SXSW at a restaurant-turned music venue on 6th street. I recall that, while being impressed with her music, the venue didn't suit her. Well, fast forward a decade and The Cactus Cafe made for the perfect backdrop to showcase her beautiful voice and poetic lyrics. 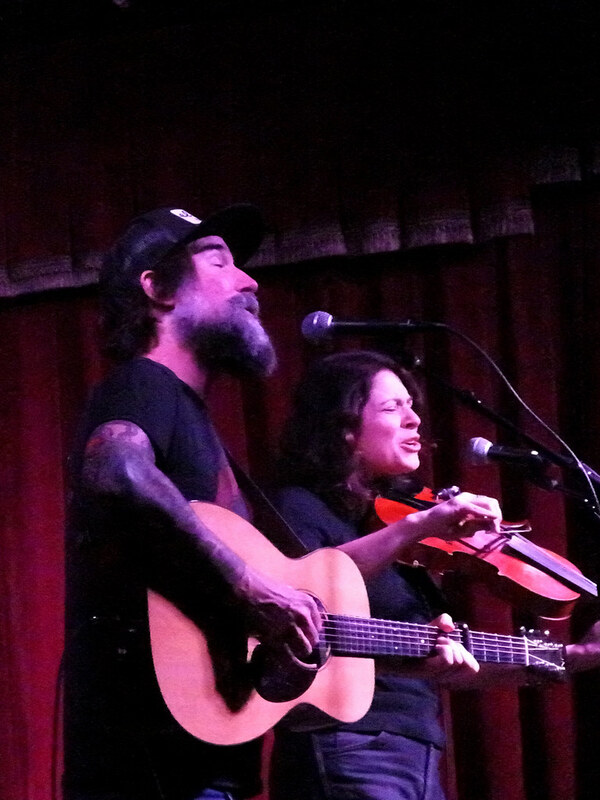 She settled onto the stage after a fun little volley with Sever where he couldn't think of the city in Massachusetts where she hailed from, so it was dubbed "Northernville." With 12 albums under her belt, she also had a dearth of great material to pull from. Delmhorst is touring on the release of her 2017 album The Wild. She treated the crowd to songs off the album like "Temporary Existance" and "Rules To Games." After her set, they took a short break. When that concluded, both Sever and Delmhorst took the stage together and riffed off each other while playing back-up to each other's songs. 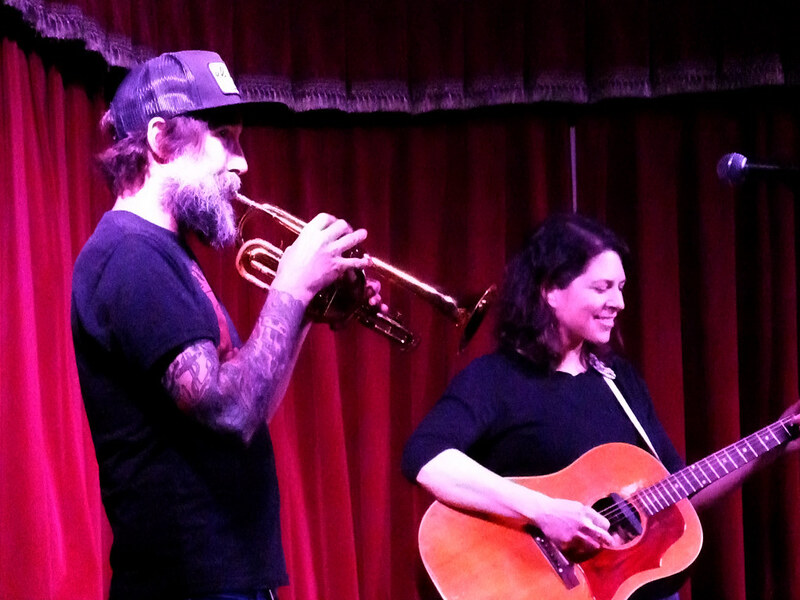 Sever switched from guitar to trumpet and Delmhorst switched from guitar to violin. It was definitely a wonderful sight to behold. Probably my favorite song of the night was a track that Delmorst never released and I can find zero reference to it online. Her and Sever are part of a songwriters game that consists of a song title being sent to them on a Monday and they have a week to turn it into a finished song. During the play of this game, the title "Russian Girl" was sent out. She turned it into a great tongue-in-cheek song about a friend who has been in the dating pool for a long time... recalling that he should consider a fantastically flawed girl he'd once dated (might be insane, drank a lot, but she recalled he thought she was "OK"). If you ever get the chance to see Matt The Electrician or Kris Delmhost live, it's totally worth it and you will leave musically fed. Those who were lucky enough to see them together... well.. we got one of those once-in-a-lifetime treats that will go in the books as a beautiful musical memory. 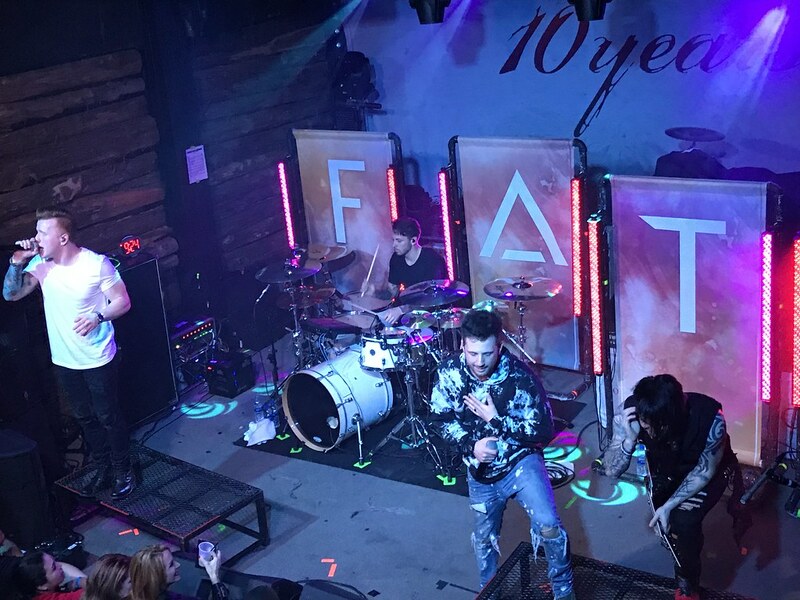 The atmosphere was perfect for this line-up of rock/melodic metal bands. Surveying the crowd, it was pretty nice to see a diverse and mixed age bunch of folks. There was your old-school metal heads standing alongside a new "Xs on their hands" breed of live music fans. First up was Broken Valor. They came out the gate hard with a sound that was straight-forward barroom metal. Vocalist Kelly Allbright commanded the stage like a seasoned pro. Next up was To Whom It May ('I' III I III). Got to love a band that comes in with the Willie Wonka “Wondrous Boat Ride” audio playing in the background. Lead vocalist Jonathon Jourdon surprised me when he had a voice that didn’t match his metaltastic beard. Kind of a Layne Staley meets Robert Plant tinge to the vocals... in the best way possible. 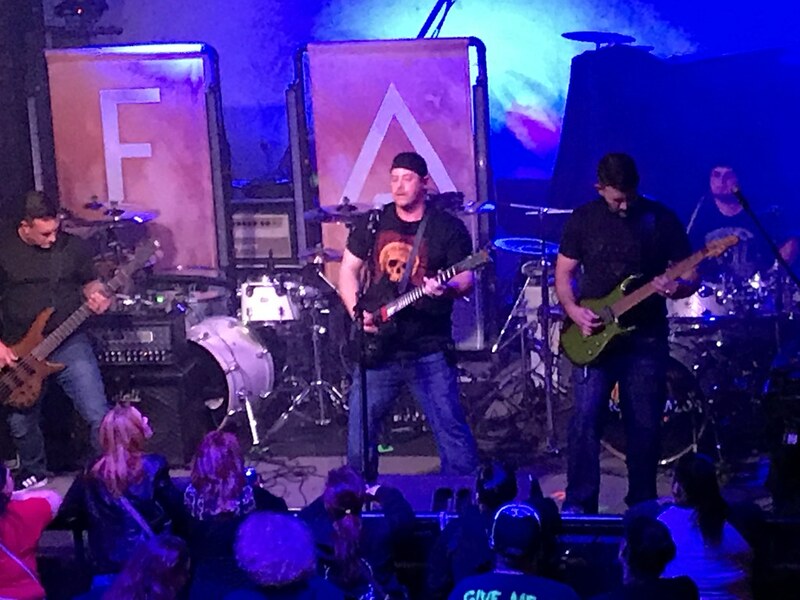 The music was a melodic metal groove that built up throughout their set and and peaked with the final song, which I believe was called "Signal Fire." The already crowded club (really packed for a Tuesday night) seemed to double in size when From Ashes To New hit the stage. These guys are one of the most high energy bands I’ve witnessed live in a while. The songs were great and they owned the crowd from the first strum to the last bass drum kick. The combination of lead vocalist Danny Case's emo-infused rock combined with the flows of rapper Matt Brandyberry made for some solid tunes. The mentioned that this was the first time playing Austin since they came though during SXSW in 2015 and I think Austin approved. They can come back anytime. Perhaps as a headliner next time? 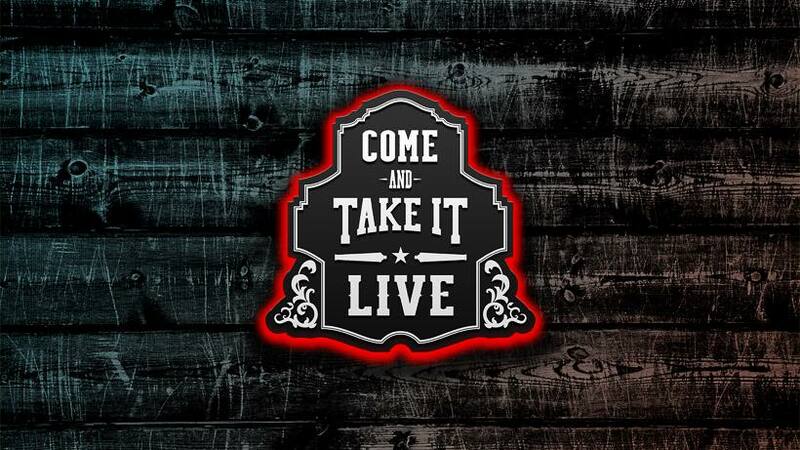 Come And Take It Live was standing-room only when headliners 10 Years hit the stage. 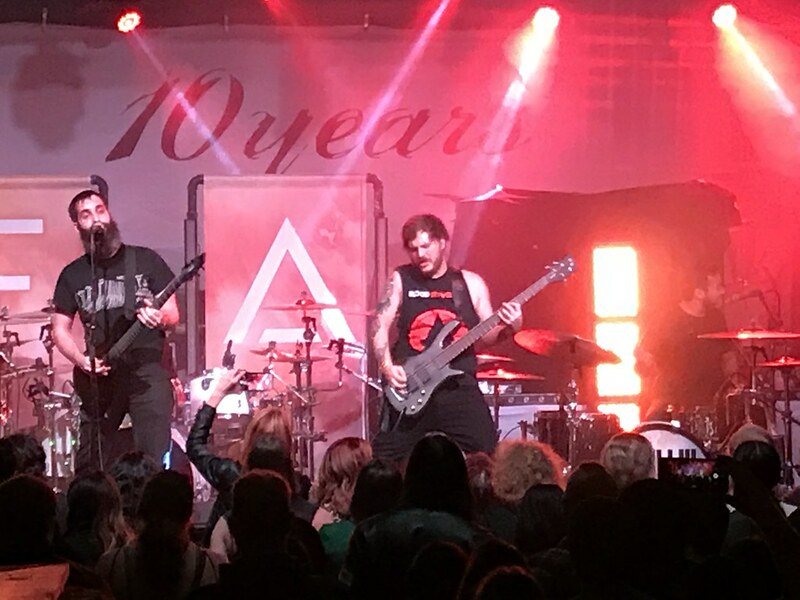 This tour was in support of their 2018 release (how to live) AS GHOSTS which is the band's 8th release since they formed in 1999. The ambient hard rock the band performed was great and the crowd was in tune with each lick. Over-all this was a great line-up of music and for those who braved the Tuesday night air to catch a show... we were all rewarded. 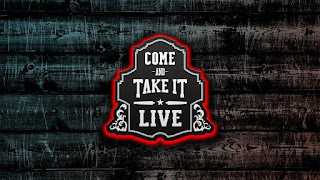 Come and Take It Live is such a great venue and I'm so glad there's a mid-sized place in Austin to host great local acts as well as road shows like this one. Credit goes to owner Anthony Stevenson for keeping the metal alive in the ATX. It's also nice to make a right off IH-35 to Riverside to catch a rock show again.